CoE StartLife offers an extra-curricular program via trainings in entrepreneurial skills for students, PhD’s and staff. StartLife acts as the connection between the academic education of Wageningen University and extracurricular enterprising activities. 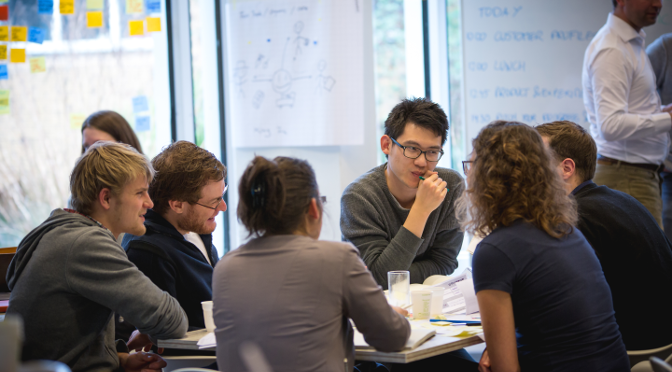 The current programme is mainly organized in student incubator StartHub Wageningen and offers consulting hours by experts, training courses and workshops by business coaches, “lean camps” and business model canvas sessions. For students the CoE currently offers courses on entrepreneurship, acts as supervisor for bachelor and master theses and is one of the principal mentors for the education module ACT, the academic consultancy training for master students. In addition the CoE provides guest lectures in the curriculum of Wageningen University for students, PhDs and staff.